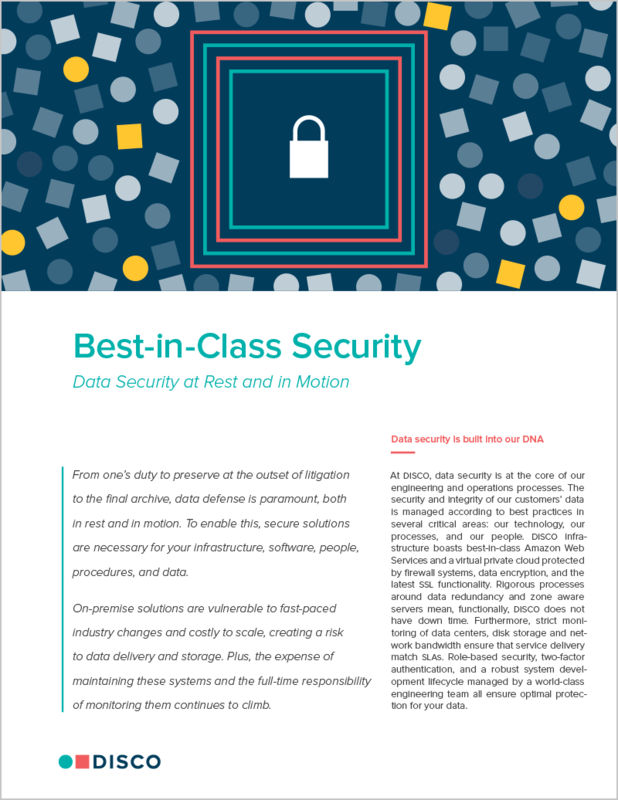 From one’s duty to preserve at the outset of litigation to the final archive, data defense is paramount, both in rest and in motion. To enable this, secure solutions are necessary for your infrastructure, software, people, procedures, and data. On-premise solutions are vulnerable to fast-paced industry changes and costly to scale, creating a risk to data delivery and storage. Plus, the expense of maintaining these systems and the full-time responsibility of monitoring them continues to climb.